Everyone in the Philadelphia area and surrounding suburbs is excited for spring! Crocuses and Daffodils are popping up everywhere, and we’re starting to hear the sound of lawn mowers revving up. Now is a great time to walk around your property and look for any areas of concern or items that need attention. But, how do you know what look for? That’s why the experts at Giroud Tree and Lawn have compiled a Spring Property Checklist for you! Read on to learn what you should be looking for on your trees, shrubs and lawn. Spring is a great time to prepare your trees for upcoming windy summer storms. Deadwood pruning and crown reduction will allow for air to flow through the branches of trees and greatly reduce your risk for storm damage. Freezing and thawing cycles throughout the winter can lead to stress cracks and structural damage. Check now for cracks and peeling bark on the trunks of your trees. Are there signs of insects munching on your tree’s leaves? Does any of the new leaf growth look discolored, blotchy or mottled? Your tree could be suffering from a disease or insect infestation. Speaking of insects, now is the perfect time to look for Spotted Lanternfly Egg Masses. Spotted Lanternfly is an invasive species that has been spreading like wildfire in recent years, and Pennsylvania is one of the hardest hit areas! Click here to watch Giroud’s informational video on How to Remove and Destroy Spotted Lanternfly Egg Masses! If your trees suffered any damage recently, now is a great time to give it a deep root fertilizer treatment to boost its health and strengthen the root systems. Giroud’s time release formula provides critical nutrients for 12 months! Look for signs of fungus or disease on your grass. 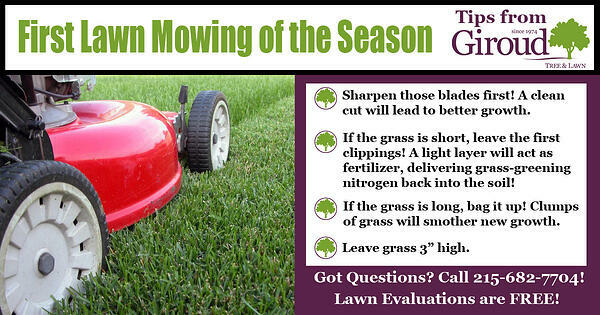 Are certain areas of your lawn patchy or bald? 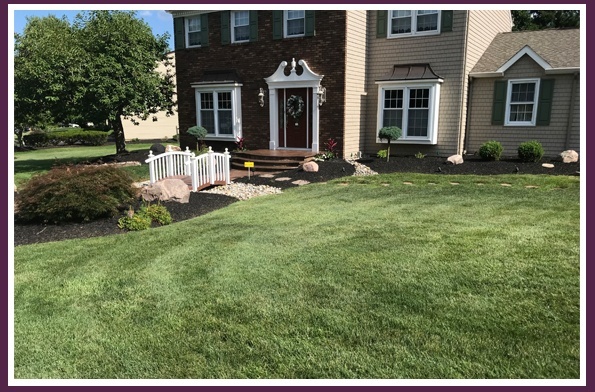 If you’re having trouble growing grass in some spots, a Giroud Lawn Care Expert can recommend the best treatment plan for your property. Check the pH level of your soil. Grass can’t grow unless the soil is at an optimal pH of 7. For more information, watch Giroud’s Lawn Soil pH Test video here. If your property is prone to biting insects, there are many actions you can take now to prevent a massive invasion. Mosquitoes and ticks love the shade, so pruning back branches and clearing out brush will take away their hiding spots! Mosquitoes breed on water, so look for anything that collects water and turn it over or put it away. Giroud offers both 100% Organic and Traditional Mosquito and Tick Control programs, and evaluations with estimates are always free! Each program is tailored to your property’s specific needs, addressing any “hot spots” where insects gather and breed. Signing up for a program will give you peace of mind that your family and pets are protected from these dangerous, disease carrying pests! Ready to get Started? 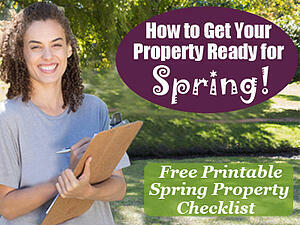 Click here to download Giroud’s Spring Property Checklist! Still feeling overwhelmed? Leave the inspection to us! The only way to know for sure if your trees, shrubs and lawn are healthy and safe is to have an ISA Certified Arborist and Lawn Care Expert conduct a thorough property inspection. Giroud Inspections are always FREE, so call 215-682-7704 to schedule one today!